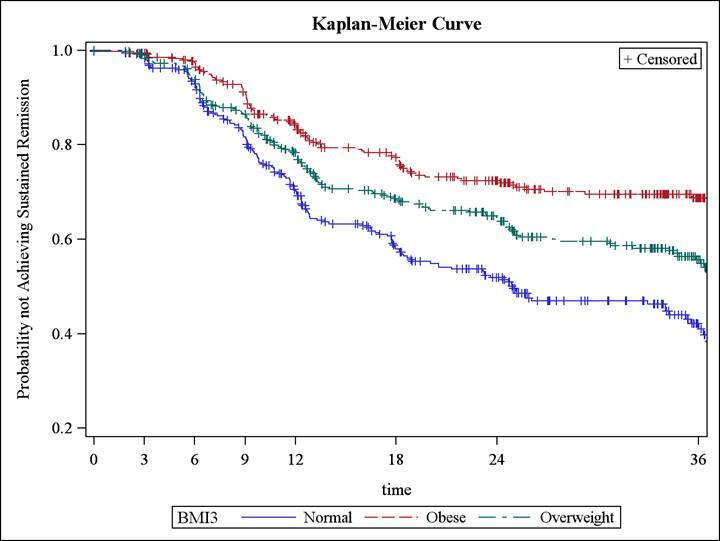 the relationship of increased BMI on time to susREM in patients with ERA. analysis and other identified potential confounders. 1st 3 months (0.761, p=0.01) were less likely to achieve susREM. management interventions in ERA treatment plans. Disclosure: E. Schulman, None; K. Andersen, None; M. Zhang, None; S. M. Goodman, None; D. Lin, None; G. Boire, None; B. Haraoui, None; C. Hitchon, None; S. Jamal, None; E. C. Keystone, Janssen Inc., 2,Abbott/AbbVie, 5,Amgen, 2,Bristol-Myers Squibb, 5,Janssen Inc., 5,Hoffmann-La Roche, Inc., 5,Janssen Inc., 2,Janssen Inc., 5,Merck Pharmaceuticals, 5,Merck Pharmaceuticals, 5,Pfizer Pharmaceuticals, 5,Pfizer Pharmaceuticals, 5; J. E. Pope, None; D. Tin, None; C. Thorne, None; V. Bykerk, CATCH study, 2. 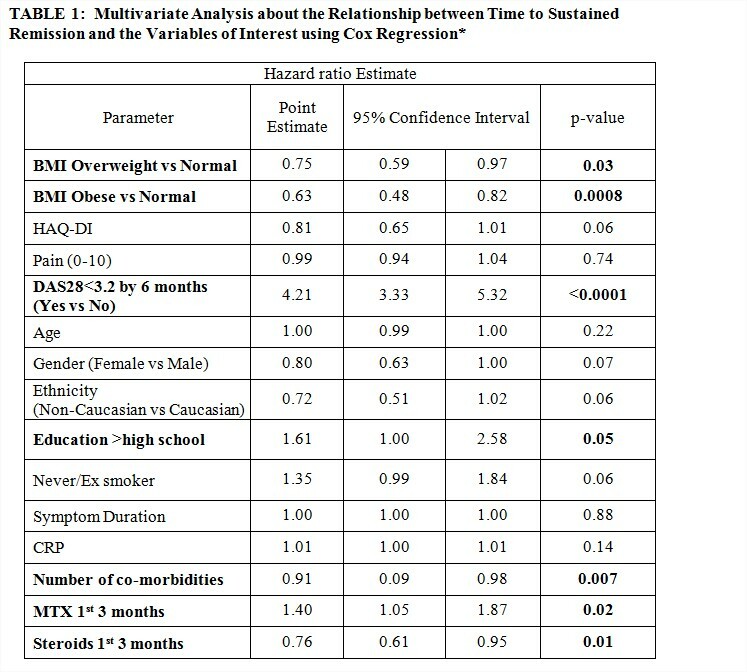 Schulman E, Andersen K, Zhang M, Goodman SM, Lin D, Boire G, Haraoui B, Hitchon C, Jamal S, Keystone EC, Pope JE, Tin D, Thorne C, Bykerk V. High Body Mass Index Negatively Impacts Time to Achieving Sustained Remission in Early Rheumatoid Arthritis: Results from a Multicenter Early Arthritis Cohort Study [abstract]. Arthritis Rheumatol. 2015; 67 (suppl 10). 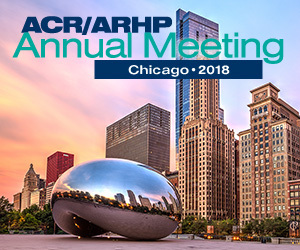 https://acrabstracts.org/abstract/high-body-mass-index-negatively-impacts-time-to-achieving-sustained-remission-in-early-rheumatoid-arthritis-results-from-a-multicenter-early-arthritis-cohort-study/. Accessed April 20, 2019.